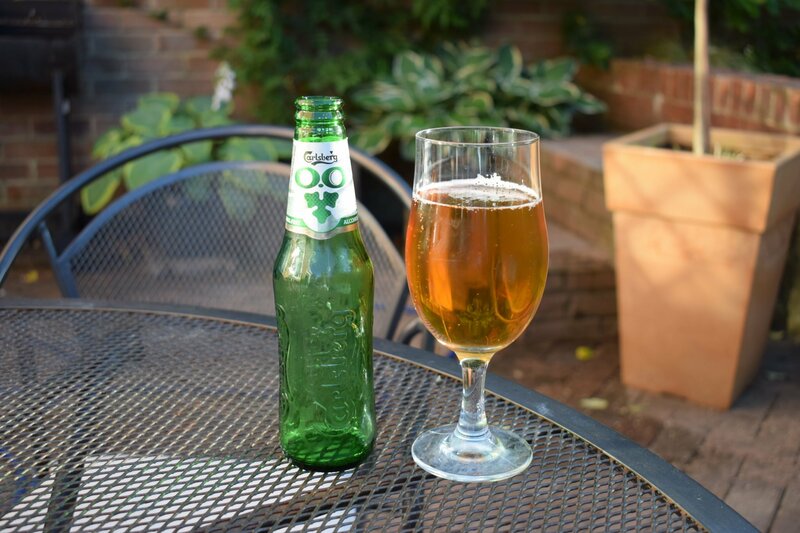 Carlsberg “0.0” is an alcohol-free pilsner-style lager. In this review, get tasting notes and find out calories, ingredients, carbs and sugar. Carlsberg – like many of the world’s biggest brewing companies – comes in for a lot of stick from those who are serious about their beer. 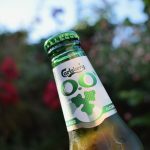 Not that Carlsberg cares – in 2017, it made a pre-tax profit of almost £105 million, despite selling 2% less beer and cider than the previous year. One of the reasons it still made a healthy bit of wedge is probably (see what I there?) down to alcohol-free beer, which it produced 15% more of in 2017 than 2016. Non-alcoholic beer is big is Europe. Hence why Carlsberg and its European subsidiaries like Super Bock brew around 50 beers and ciders under 0.5% ABV. 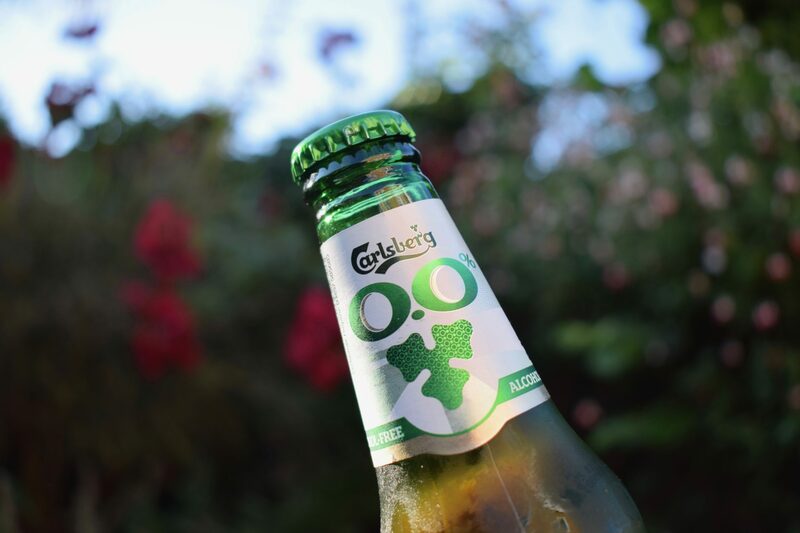 One Carlsberg alcohol-free beer freely available in the UK is “0.0%“, a zero alcohol version of its flagship pilsner-style lager. Carlsberg brew this one to the usual recipe, then remove the alcohol afterwards. Other tweaks to the usual ingredients of water, yeast, hops and malt include added sugar and natural flavourings. The overall sugar content is 2.5g per 100ml, which is a bit higher than your typical alcohol-free lager. 0.0% pours an orange-gold colour with hardly any foam or head. It looks more like a cider in the glass. The aroma is clean and malty, with a slight chemical twang if you get a deep enough sniff. It’s inoffensive. The mouthfeel is the best part of this lager. It’s lightly carbonated with a smooth consistency that doesn’t single it out as a non-alcoholic beer. Unlike alcohol-free versions of other popular lagers like Budweiser’s “Prohibition”, it’s not syrupy or sickly. The taste is generically fruity, with a crisp maltiness and little hoppiness. I’m not a regular Carlsberg drinker, but I think I’d struggle to tell the difference between this version and the standard version. The finish is quite dry, with a little wet cardboard in the aftertaste. This isn’t as bad as it sounds. Carlsberg 0.0% is like a football team that constantly finishes mid-table – it’s never going to win the league, but it has a few highlights on its journey to mediocrity. The mouthfeel for an alcohol-free lager is particularly good. My main concern is with the added sugar. That said, 6.8g of sugar per bottle is still low compared to the sugar content in many soft drinks. If you like Carlsberg’s alcoholic lager, you’ll probably like this one. If not, grab yourself something with a bit more flavour like Big Drop’s “Lager (0.5%) or Pistonhead “Flat Tire” (0.5%).